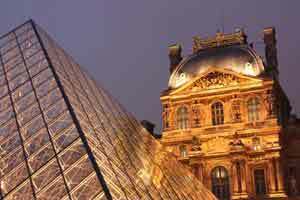 France is one of the most popular travel destinations in Europe. Many people choose to include it on a Europe wide tour, while others focus solely on France, or even one region in France. This itinerary offers a general overview of France, but does not create a loop, so it is possible to combine it with other destinations in Europe. You begin your journey in the wonderful city of Paris. If you've never been to Paris, allow yourself at least four days to see everything that the city has to offer. It really is the city of lights. The sites are abundant, but also make sure you take time to wander through the neighborhoods, dine at the local eateries, and sip wine along the Seine. From Paris you can head to Versailles. This spectacular palace can impress even the most jaded traveler. You can walk along the Hall of Mirrors, be awed by the King's Apartments and Queen's Bedchamber, or stroll through the Parc de Versailles. You really shouldn't miss this stop during a trip to France. Continue on to Lyon, with it's wonderful food and wine. Spend some time wandering through Vieux Lyon and its Renaissance dwellings. Head over to the towns of Vienne and Valence, both of which are historic Roman towns which highlight the importance of this area as a trade route. Also make sure you take time to sip some local wine and soak up some of the wonderful atmosphere. Continue on to Aix-En-Provence and enjoy the impressive architectural and art sites. Then go to Antibes and Cap D'Antibes where you can see a vast collection of Picasso's work at the Musee Picasso (located inside a chateau). Wander through the Villa Eilenroc at the end of Cap d'Antibes and hike along the footpath at the Sentier Tirepoil clifftop. Continue on to the famous coastal destination of Nice. Enjoy walking along the Promenade de Anglais and soak up the French Riviera. 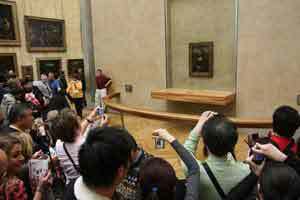 Visit the Musee Matisse and Musee Renoir and spend some time just relaxing and people watching in this unique seaside town. Finally make your way to Eze with its stone alleyways and ancient fountains. Go to the Jardin Exotique and stroll along the countless footpaths to take in the scenery. 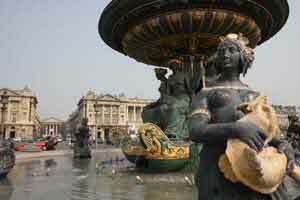 Many people choose to visit France as part of a larger trip to Europe. This itinerary is a highlights tour of the country and allows you to visit some of the most popular places in France, but also gives you time to visit other countries in Europe. The trip begins in the breathtaking city of Paris. You really can spend an indefinite amount of time in Paris, so plan ahead and allow yourself as much time as you can when scheduling your trip. Paris can be an expensive city though, so if you spend more than a couple of days there, consider renting a short term apartment. Usually these apartments come equipped with kitchens so you can prepare your own meals in addition to dining out. From Paris, travel to Dijon. This is one of France's most beautiful cities and is a wonderful place to spend a few days. Use Dijon as a base for exploring the nearby vineyards and sip some of the world's best wine. Dijon is a wonderful place to linger for a few days while you enjoy the slow pace and rustic surroundings. Definitely take time to get into the countryside and explore for a little while. 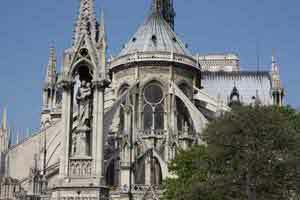 There are also many churches and Gothic cathedrals worth visiting. From Dijon, move on to Avignon. You can follow the Lavender Route through Provence and see the beautiful fields of blue flowers. There are also many opportunities for day trips outside of Avignon, including Arles, which is Van Gogh's Provencal home. From Avignon, go to Cannes which is the gateway to the French Riviera. There is a lot to see nearby in the form of museums and art galleries. You can also take in the extravagant life of Cannes, Monaco, or St-Tropez. If you're looking for a more quaint destination, head to nearby Eze with its breathtaking views or you can travel to the famous Nice with its wide boulevards and interesting buildings.